- Performance and stability improvements. . We read all your reviews and always try to make the game better. Please leave us some feedback if you love what we do and feel free to suggest any improvements. 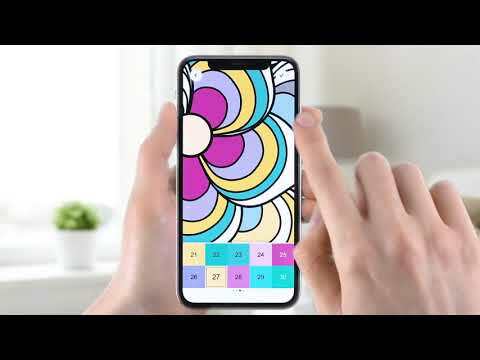 Color by number with Chamy - a brand new app from the makers of Pixel Art. Enjoy the harmony of coloring!Choose from a variety of bright coloring pages for adults and paint by numbers to bring them to life! Bright coloring puzzles will help to relieve stress and boost your mood in a short time!Featu... see more Color by number with Chamy - a brand new app from the makers of Pixel Art. Enjoy the harmony of coloring! Choose from a variety of bright coloring pages for adults and paint by numbers to bring them to life! Bright coloring puzzles will help to relieve stress and boost your mood in a short time! Color by number - find your Zen! Chamy Premium is a paid auto-renewable subscription that allows you to unlock everything, access daily updates and remove ads. Weekly subscription with 3-day free trial period is $4.99, monthly $9.99, and annually $29.99 or equivalent to the amount in your local currency. When the trial period ends, Google Play automatically charges your account at the amount set for the weekly subscription, and the charges continue according to the subscription interval. You may cancel the free trial at any time; at the end of the trial period the subscription expires, and Google Play doesn’t charge your account. You may cancel the subscription at any time. You can view the subscriptions and cancel them from the My Apps screen in the Play Store app or from the app&apos;s product details page in the Play Store app. For more information please visit the link https://support.google.com/googleplay/answer/7018481. If you cancel subscription during a billing cycle, Google Play doesn’t offer a refund; instead it allows you to enjoy its benefits until the end of the current billing cycle. The cancellation comes into effect after the current billing period has passed. If you decide to uninstall the app after purchasing a subscription, the Play Store app will remind you that you have an active subscription. If you still decide to uninstall the app, the subscription remains active and recurring billing continues. You can return to cancel associated subscriptions at any time in the My apps screen of the Play store app. If you choose to cancel the uninstallation, the app and subscriptions remain as they were.